Located close to both Seattle and Bellevue, Lake Sammamish is a splendid place to spend a day – offering up everything from wooded trails to beaches to water recreation. The lake is visible from neighborhoods and some smaller parks along its perimeter, and it's also bookended by Marymoor Park and Lake Sammamish State Park, both of which offer plenty to do on their own. 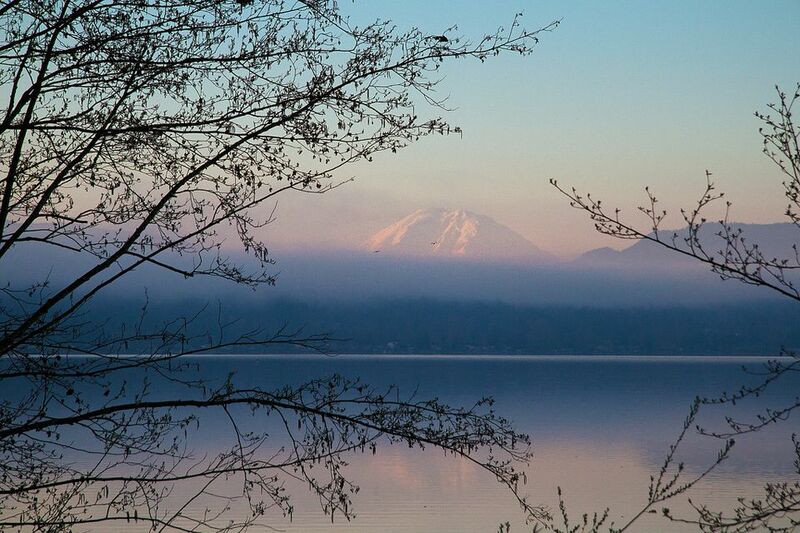 Use this guide to help you narrow down where to start exploring Lake Sammamish. Very possibly, the best way to enjoy Lake Sammamish is to visit one of the parks along its shores. Each park has something unique to offer, but the shoreline parks are also where facilities such as boat launches, kayak rentals, and more are located. If you want to get onto the lake, start at a park—unless you know someone who lives right along the lakeshore, in which case, lucky you! Lake Sammamish State Park requires a Discover Pass, but if you don’t already have one, you can buy one from the automated station here for $10 for day use. The park has two lakefront beaches for swimming, 1.5 miles of hiking and biking trails, kayak and paddle board rentals, places to fish, picnic and day use facilities, and nine watercraft launches. Marymoor Park in Redmond is huge at 640 acres and mostly offers lots of green space, trails, sports courts, and other fun on land, but it does have some water access as well. The boat launches here are for smaller watercraft such as kayaks and canoes and offer access to the Sammamish River, which is calm enough that you can paddle against the weak current into Lake Sammamish if you so choose (but paddling north is a better way to go and a very relaxing journey). Other than water access, Marymoor Park is a fine place to run your dogs, explore some trails, or enjoy a concert or show when one is in town. There’s a small fee to park, but the park is free. Timberlake Park has 24 acres of mostly forest but also a lakefront shoreline to explore. Have a picnic by the water or wade in a little bit. At 80 acres, Weowna Park offers a bit of everything but has especially lovely trails. The trails offer views of Lake Sammamish, but also of Phantom Creek, which winds its way through the park and tumbles over a few waterfalls within the confines of the park. Idylwood Park has a swimming beach, a playground, picnic facilities, open space, and a canoe launch. Biking the perimeter of Lake Sammamish is also possible, sometimes on trails and sometimes on city streets. The loop is about 24 miles and mapped out here. Lake Sammamish is nestled between the cities of Bellevue, Redmond, Sammamish, and Issaquah, so if you want to stay near the lake, you have many options. If you want to stay right on the lake’s shores, look to Airbnb as there are a couple such properties, but they are small and privately operated. Otherwise, your next best bet is to stay at hotels near either Marymoor Park or Lake Sammamish State Park. On the Marymoor Park side, look to the Redmond Inn, Hampton Inn & Suites Seattle/Redmond, Hyatt House Seattle/Redmond, Seattle Marriott Redmond, and others in the area just north of the park. To stay near Lake Sammamish State Park, the Holiday Inn Seattle-Issaquah and Motel 6 Seattle East – Issaquah put you closest. Lake Sammamish is located next to Bellevue, Redmond, and Issaquah, meaning there’s much to do nearby. In Bellevue, you’ll find everything from massive shopping opportunities at the Bellevue Collection to parks to the Bellevue Arts Museum and Meydenbauer Center, if you want to add a show into the mix. Issaquah is a little quieter but has some pretty neat things to do, including Cougar Mountain Zoo, Tiger Mountain, and Squak Mountain if you want more hiking opportunities, as well as a farmers market not far from Lake Sammamish State Park. In Redmond, you can visit the Microsoft Visitor Center, shop at Redmond Town Center, or kick back at one of several breweries in town – well-known Mac & Jack’s included.